The Pioneer Library System’s branch libraries in Cleveland County have numerous activities planned for all ages in October, including these Halloween-themed events. Frankenstein Turns 200, 6 p.m. Oct. 25–It’s the 200th anniversary of the creation of Dr. Frankenstein and his famous monster from the pages of author Mary Shelley. The event will include a Frankenstein-inspired movie, spooky snacks and crafts for the whole family. Kitchen Tricks and Treats, 6 p.m. Oct. 30–Prepare strawberry jam and take-and-bake bread dough to match with it in a workshop led by Brenda Hill of the Cleveland County OSU Extension Service. Also, learn not-so-scary nutrition tricks to satisfy the more health-conscious zombies in the family. Halloween Costume Swap Shop, 10 a.m. Oct. 6–Find a great costume and save money at the library’s costume swap shop. To get a voucher for a costume, donate a costume from 3 to 6 p.m. Oct. 5. The International Pantry recently released its October lineup of observational cooking classes. .
Each class is $45 per person, except for the Oct. 11 class, which is $55. Call 360.0765 or visit the store at 1618 West Lindsey St. in Norman to make reservations. Organizers of ABLE Community Based Services’ Second Annual ABLE Comedy Night: Comedy for a Cause, which took place Aug. 24 at the Mercury Events Center, are calling the event a success, noting they netted approximately $1,500 more than at the inaugural event. Comedy for a Cause was kicked off by emcee Mark Krittenbrink, president and principal architect at Krittenbrink Architecture, and featured entertainment by comedian Scott Long, who has appeared on NBC and FOX-TV, and ESPN. Dinner was provided by Catering Creations, and refreshments were available from Scratch Kitchen & Cocktails. The local nonprofit strives to enable adults with developmental and intellectual disabilities to lead meaningful lives. The Women of the South, a nonprofit founded in 1995 by a group of Southside women, has launched its annual membership drive, and invites all interested women to apply. WOS’s mission is to provide cultural, civic, educational and social activities for the South Oklahoma City metro area. WOS sponsors several fundraising events and has awarded hundreds of thousands of dollars in scholarships. Business meetings are held the third Monday of each month at 6 p.m. in the South Oklahoma City area. 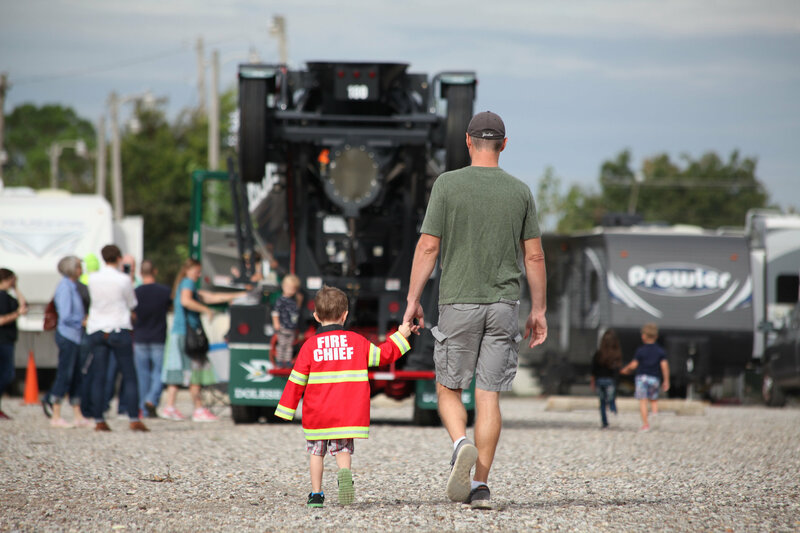 A favorite of Norman-area families for 14 years, the Pioneer Library System Foundation and community partners will present Touch A Truck from 9 a.m. to noon Saturday, Oct. 20, at the Cleveland County Fairgrounds. 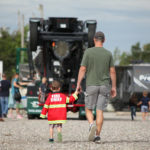 The annual event features dozens of trucks, as well as a visit (if they aren’t needed elsewhere) from a University of Oklahoma Medical Center MediFlight helicopter. There’s no official entry fee, although donations will be taken at the entrances. Proceeds go to benefit the Children’s Services departments of the Pioneer Library System’s six Cleveland County libraries. The following performers and bands are scheduled to perform in the Royal Bavaria Beergarten throughout the month of September (all performances are held Thursday-Saturday nights). Hunter Thomas, Oct. 4; Shawn Proffitt, Oct. 5; Kenneth Rich, Oct. 6; Route 66, Oct. 11; Heartbreak Rodeo, Oct. 12; Greg Singleton, Oct. 13; Heartbreak Rodeo, Oct. 18; Full Circle, Oct. 19; Redgrass String Band, Oct. 20; Route 66, Oct. 25; Shawn Proffitt, Oct. 26; TBA, Oct. 27. Royal Bavaria Restaurant, Brewery and Beergarten is located at 3401 S. Sooner Road, Oklahoma City. 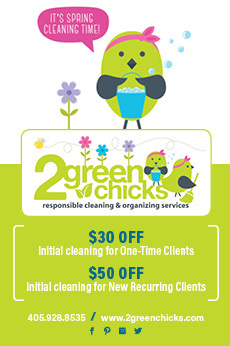 For more information, call 799.7666 or visit Royal-Bavaria.com. Next Thought, a video production and online learning system company in Norman, recently decided to shake up their summer with a worksite walking challenge. The company also partnered with the TSET Healthy Living Program in Cleveland County to gain insight on sustaining their current wellness initiatives and get ideas for adding new wellness elements to keep their team productive and happy. Working with the Healthy Living Program staff, the company issued a walking challenge for its 50 employees. Thirty-nine Next Thought employees formed a team; 24 met the 250,000-step goal and earned prizes along the way. The Healthy Living program partners with businesses in Cleveland County to provide technical assistance in developing wellness policies and programs. The goal of the program is to decrease the obesity and cardiovascular disease rates in Oklahoma through tobacco cessation, proper nutrition and physical activity. 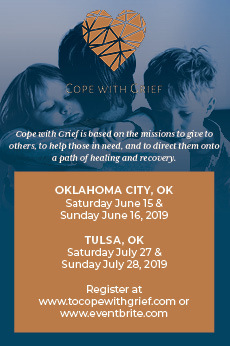 The program also partners with schools, community centers, and cities and governments in Oklahoma. For more information about how your business can adopt a wellness policy, contact Chandler Scarbrough with the TSET Healthy Living Program at cscarbrough@nrh-ok.com.